EDEN’S LIE is an East Coast Rock-N-Roll Band featuring melodic vocals of Jeff Richards, driven by the signature guitar work of Robby Gagnon. The foundation of the Eden’s Lie sound is the Rock Solid and Hard Hitting rhythm section of Jimmy Greene and Kevin Whitten. 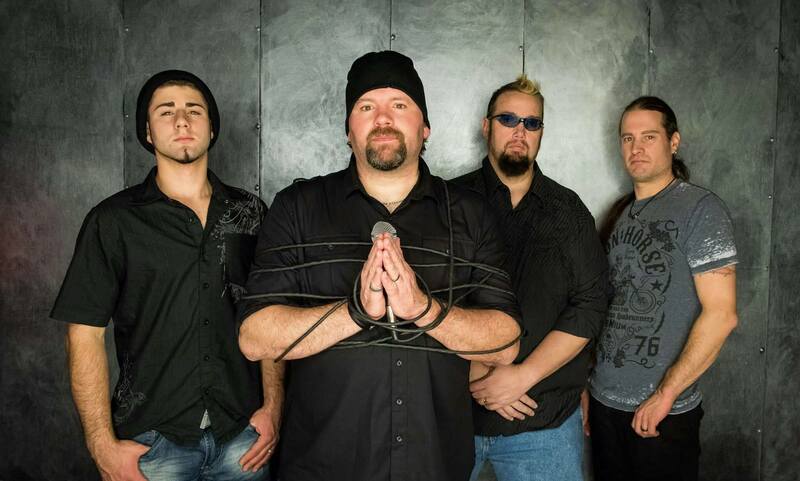 Formed in early 1995, Eden's Lie has emerged as the longest running local New England rock band, infesting the music scene for over two decades. With their popular releases LISTEN, RESURRECTION, BREAK THE SURFACE, ALIGNED, EDEN’S LIE, REVEALED LIVE , EPIPHANY SEASON, and their upcoming 2016 release. Eden’s Lie has stayed true to their brand of melodic rock never conforming to the “Hip Today” rock standard. Often compared to the likes of Creed and Bon Jovi, their songs are an ear-pleasing blend of guitar driven hard rock anthems, contagious melodies and lyrics about life and hope. Featured on many TV and Radio shows, Eden’s Lie continues to perform, write new music and perfect their own style of music to capture an audience and lead them on a journey not soon to be forgotten. Eden’s Lie has shared the stages with national acts Saliva, Lacuna Coil, Trixter, Joe Lynn Turner, Warrior Soul, Quiet Riot, Tyketto and the list goes on.